These are the reviews for The Tudor Rose. There are 19 reviews. In a great place to see the surrounding area, lovely village location. This was the most beautiful cottage we have ever stayed in, it was gorgeous on the outside and just as quaint on the inside, all we wanted was a week of relaxation and that is just what we got, so comfortable and bigger than we thought it would be. Had everything you need in the cottage rally nice and warm really cosy, had a hug log fire but it was always too warm to light it. This was the best cottage we have ever stayed in and we have stayed in about 6. Lovely house, bigger than expected. Warm and cosy. WiFi works very well. Super area. Would love to return. Lovely spacious cottage in a beautiful little village. Very clean, comfortable and well equipped with everything you could possibly need from a holiday cottage. Loved it. 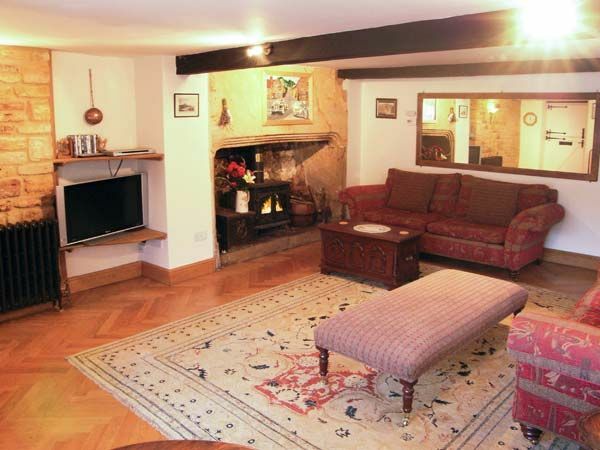 The cottage was excellent in every way and exceeded our expectations. It has charming original features. The owner has taken great trouble to ensure guests needs are met, with plenty of instructions about equipment, information about the village and area and the history etc. Montacute is equally charming and the proximity of the cottage to the NT Montacute House - a couple of hundred yards - is a bonus. There is much to see in the immediate area and beyond. The Tudor Rose is an attractive, character cottage that is centrally situated. Roomy, comfortable and well equipped. The Tudor Rose is a lovely, clean, very well equipped and spacious cottage with plenty of character. Very comfortable beds. In a friendly village and there are nice walks from the door up to the hills around the village and in the park of Montacute House. Beautifully appointed and finished cottage. Property felt very homely and was warm and comfortable. I Liked location in the heart of an attractive village. There was also a good range of cooking equipment and crockery. Excellent place to stay. Beautiful house idyllic surroundings. Loved the house and loved the area. Will definitely be back. House was well equipped and had a lovely atmosphere. One of the nicest places we have stayed. A great cottage in a beautiful location, an excellent base for our days out throughout the week. Liked everything! The cottage was just as described; well equipped and very comfortable, a real home form home. In a nice quiet location in the centre of the village. There were plenty of leaflets for tourist attractions as well as information on local amenities. The WiFi worked well. Finally, the April weather was absolutely glorious with sunshine every day, making it a very pleasant holiday. I would certainly recommend this cottage to others and would stay again if holidaying in that area. We thought the village was lovely, almost like stepping back in time. After a day out visiting various places in the surrounding area, it was so nice to sit and relax and enjoy the cosiness of the wood burner. We do hope to enjoy another holiday in this cottage in the future. Beautiful cottage in lovely surroundings. All the little extras provided and the high standard of furniture, fittings and décor made this property stand out for us. There was lots of local information provided in the welcome book and good instructions for the appliances. A real home from home. There was great food at the local pub The Kings Head. The Tudor Rose in Montacute was wonderful. We loved our week there and hope to return someday. It was our first visit to England and we found Montacute to be very quaint. Within walking distance of the Montacute House grounds and two pubs that served good food we could simply relax and enjoy ourselves on the rainy fall days. When we wanted to go further afield, there was much to see of interest in the surrounding areas. The house itself was comfortable. I had never had the type of heating system they had in the house and was worried I'd be cold in England in October but I felt quite warm and toasty. It was just the two of us although it would have been comfortable with a family. The staircase is steep for USA standards and if I was bringing young children I"d want a safety gate at the top. Great parking availability. Close to the road but in a tiny town so we did not notice any road traffic noise when we were sleeping. The kitchen was fine. I'd love to return in the summertime. We did have trouble with the wi-fi but the owners were contacted and worked with us to fulfill our needs so no complaints about that. We were their first renters so this glitch has probably been fixed. Close to stores for supplies (groceries, etc.) but we did not cook as much as planned because there were two pubs with good food and it was nice to be able to walk to dinner and back. We arrived to find a very clean and well presented property in a delightful village. The local pubs were both friendly with some very good food. I cant recommend this property enough. Our stay was exactly what we would have wanted. Peaceful and cosy! The fact the heating was on and milk in the fridge couldn't have been better considered. Well done and keep up this standard. Many thanks! 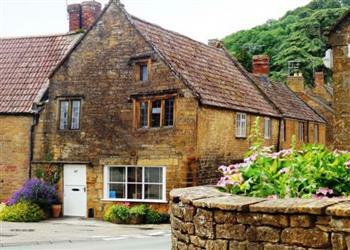 We loved this little 3 bedroom house in Montacute. It was our first time in England and being in a rural area from which we could take day trips but close enough to a town that had everything was great. There were wonderful little touches throughout that made our stay extra special. The owners had taken care to prepare two booklets for us - one with instructions for the appliances and heating system that was quite thorough. The second was for places of interest nearby that provided a handy guide for us. We are already considering going back and staying at this lovely little house again. If you're looking for other cottages around The Tudor Rose, we've got some cottages below which may take your liking. There are 88 cottages within 10 miles of The Tudor Rose - and they have reviews too.